UPDATE: Marshall Chapman has a new record out next week, Blaze of Glory! Check out the world premiere of one of the tracks here. This interview from a few years ago was about her last record, Big Lonesome. Everybody in South Carolina knows Marshall Chapman, even if they don’t. While she left for Vanderbilt in the 1960’s and basically never returned to reside in the Palmetto State, her hometown of Spartanburg continues to celebrate the free spirit who “made it” in Nashville, although they would likely talk behind her back, given her history. Some boxes are just too confining. The musicians featured in They Came to Nashville range from newcomers with a traditional sound (like Miranda Lambert ), to Americana icons (like Mary Gauthier (go-SHAY)), to real life friends like Beth Nielsen Chapman (who has possibly the funniest story I’ve ever heard about creative energy needing to find an outlet), to the long list of “old Texas guys” that Marshall Chapman cites as her influences (like Willie Nelson , Rodney Crowell , Kris Kristofferson ). If you have never read Chapman’s essays in Garden and Gun magazine or her first book , you are missing a gem of Southern humor and precision. 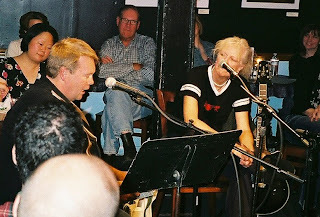 She asked each songwriter the same six questions, and includes the “incidentals” like Emmy Lou Harris’ dogs jumping on the tape recorder and her mama shuffling through the room with her walker, bringing the reader into the conversation like a peer. Contrasting sweet insight with raucous happenstance and her own real-life travails, Chapman writes the perfect “beach book” that even those who do not care for country music will adore. Marshall Chapman wrapped up 2010 with a stellar character role in Country Strong–a film that critics panned, but movie-goers loved–and featured excellent cameos from many Americana stars likeTodd Snider and the ambient music of Hayes Carll. While comfortable on stage with a guitar, bringing performance energy to a scene on film proved to be a different creative demand. Chapman marvels at how the actors (she does not consider herself an actor) exude the light that makes them stars (summary of her words), while they showed that the “real” performance in front of a live audience was terrifying. Marshall Chapman is many things, and she is absolutely real.